Are you aware of the Grandparent Tax Credit Scheme? Many families rely on the help of their parents for childcare, especially during the school holidays. In fact, there are reportedly 1.3 million working mums who rely on support from grandparents, according to the Office for National Statistics. Nursery and childcare is expensive and we are all too aware of the rising cost of living in general, and so many of us (who are lucky enough to be able to) turn to our faithful parents for help. Research completed by Grandparents Plus and Age UK estimates that the childcare provided by grandparents is worth £7.3 billion pounds a year! However, what many of us may not realise is that if grandparents have retired early in order to lend a hand, they are potentially missing out on £231 a year from the full rate of the state pension, which over a 25-year retirement equals a loss of £5800. 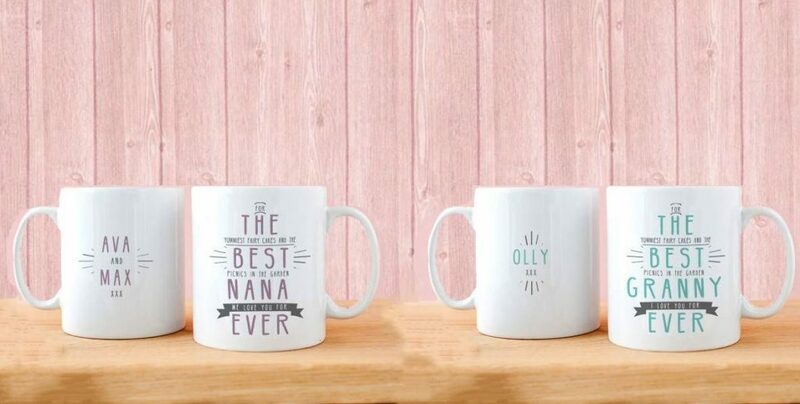 If you’re still looking for that extra something for Mother’s Day, check out The Little Picture Company’s gorgeous personalised mugs.